Plot : K. Srinivasa Rao (Murali Sharma) wants to become a photographer but fails to do so as he meets with an accident when he is going on a drive with his family. 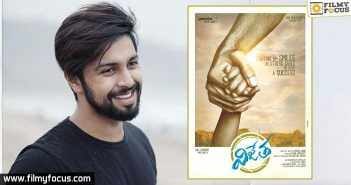 His son, Ram (Kalyaan Dhev) needs a complicated surgery, so Srinivas decides to drop his passion and take up a salaried job to maintain his family and pay off loans, he took for his son’s surgery. 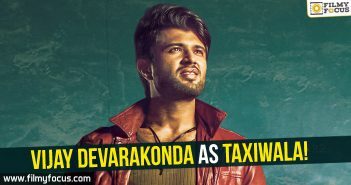 Performances : Kalyaan Dhev, resembles Manchu Vishnu in voice and body language. We feel like we are watching Vishnu mostly in a different body suit. Keeping that odd connection away, Kalyaan does seem to have ease in dialogue delivery but he needs to improve on his diction and expressions. Murali Sharma gives his best in the film and it really shows the quality of an actor he is. Still, the script doesn’t rise beyond clichés that we get many more interesting situations to see the actors perform. Malavika Nair looks good and all other actors did well too. Technicalities : KK Senthil Kumar, the cinematographer gives his best to the film in terms of making it visually appealing and also tries to give depth to the simple scenes and highlights all the emotions. Had script gave him more chances to explore through his camera the story, it would have made it an interesting watch. Karthika Srinivas, the editor, cut the film in a way that we don’t feel it is too long at the same time we don’t feel it is aptly paced too. All credits goes to a lethargic script but editor could have convinced director on few things too. Harshavardhan Rameshwaran, the music composer seems to have heavy Tamil influence and the music doesn’t really suit the film. His background score is good enough though. Writer and director, Rakesh Sashi had a point to explore but he did it in the most clichéd way ever. One feels like they are watching an old film made with new technology. The scenes written for the characters don’t really bring out the characteristics of them and define them completely. If the performances weren’t better than expected, the film would have been even worse. Analysis : Writing for a film is not easy and this one proves, how tough a job it is really. We can’t tell an old story with a twist in a clichéd way in a predictable screenplay. The scenes need to be fresh and also they should emotionally help us to invest in them. Sadly, the movie falls flat of all our expectations and the director needed much better execution and writing to support his vision.